Mangosteens, a delicious tropical fruit, may carry a yeast that can help prevent diarrhea in people taking antibiotics. A new analysis says probiotics, like this yeast and some bacteria, may prevent the most dangerous types of diarrhea linked to antibiotic use. Probiotics -- those products that promise to replenish your gut’s “healthy” microbes -- do seem to help prevent dangerous diarrhea, researchers reported on Thursday. A review of the strongest scientific studies shows that probiotics can reduce the risk of diarrhea caused by C. difficile infections by 64 percent, the researchers found. But the products don’t prevent the infection -- just the diarrhea itself. And it’s still not clear just which products are the best. Many studies have suggested that probiotics work. Doctors are beginning to understand that the body needs microorganisms, and nowhere more so than in the intestines. These “good” bacteria and yeast help digest food and they take up space so that disease-causing germs can’t take hold. Many studies also have suggested that probiotics can fight diarrhea -- especially after people take long courses of antibiotics that can kill good germs as well as the bad ones. If the good germs are all dead, then disease-causing microbes can move in – most worryingly, Clostridium difficile, or C. diff for short. C. diff produces a toxin that causes diarrhea. It’s on the increase, especially in hospitals. C. diff infections sicken 336,000 people each year and kill 14,000 according to the Centers for Disease Control and Prevention. Patients who are old or frail, or who have damaged immune systems, are the most vulnerable. “You can imagine you could have a huge and immediate impact on patients, on healthcare systems and on families,” Johnston says. Johnston and colleagues set out to see how much evidence there is that giving patients probiotics can reduce their risk of C. diff. They reviewed 31 of the strongest studies, which involved nearly 4,500 patients. Most were given either a probiotic or a placebo -- a dummy pill -- while taking antibiotics in the hospital. “Our results suggest that when probiotics are given with antibiotics they reduce the risk of developing Clostridium difficile associated diarrhea by 64 percent,” they wrote in a report published in the Cochrane Library. In all those studies, 5.5 percent of patients given antibiotics got diarrhea caused by C. diff, while just 2 percent of those who got probiotics did. “The short-term use of probiotics appears to be safe and effective when used along with antibiotics in patients who are not immunocompromised or severely debilitated,” Johnston’s team concluded. But the supplements didn’t prevent infection. “The incidence of C. difficile infection was 12.6 percent in the probiotics group compared to 12.7 percent in the placebo or no-treatment control group,” they wrote. "We think it's possible that probiotics act to prevent the symptoms of C. difficile infection rather than to prevent the infection itself," said Johnston. More study is needed to find out which particular strains are best, he added, and whether it’s safe to give the supplements to people with compromised immune systems. And the most effective products appeared to use a mix of organisms. A yeast strain called Saccharomyces boulardii has been shown in several studies to help prevent diarrhea. 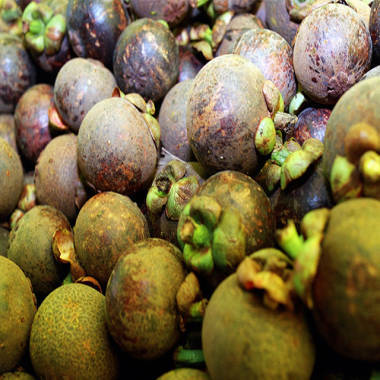 It comes from lychee or mangosteen fruits, and is usually found in products delivered by capsule. Capsules containing a combination of two bacterial strains -- Lactobacillus acidophilus and Lactobacillus casei -- were shown in three studies to prevent diarrhea, Johnston says.